This is a fantastic Store Bought Greek Vegan option. Open a can, heat on the stove and you’ve got a hearty, healthy Greek vegan dish in minutes. My favorite brand is Palirria. Imported from Greece, the beans contain no preservatives. 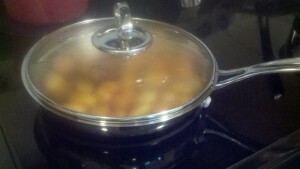 Serve with a wedge of lemon, crusty bread and a glass of white wine for a satisfying, delicious meal in no time at all. Cans come in one serving and 10 serving sizes. You can also buy bythe case. They are an affordable, healthy option when you want to eat Greek vegan but just don’t have the time to cook. If I have white wine on hand, I’ll add a couple of tablespoons to the pan right after adding the beans. 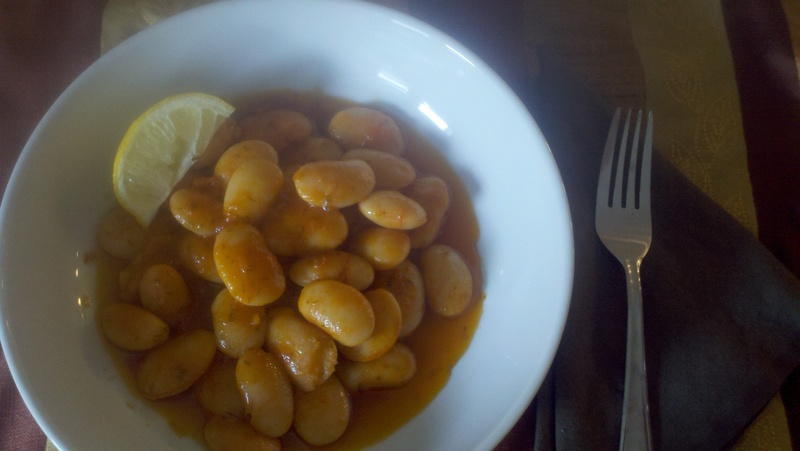 Enjoy with lemon, cracked black pepper and crusty bread to make a satisfying, healthy and super quick meal. 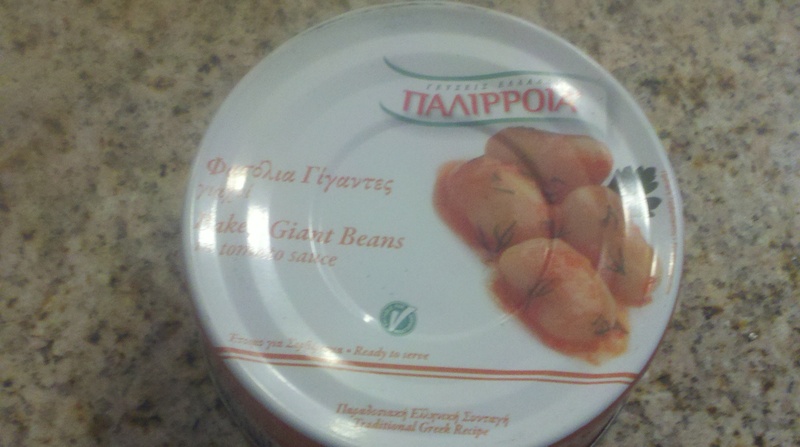 You can find Palirria Giant Beans and other brands (another good choice is Fantis) in most local Greek markets or order online at Parthenon Foods. I also tend to add some flatleaf parsley to those, just to get more dark green vegetable in my diet. I almost always have a jar full of fresh parsely in my fridge, and other herbs in season. 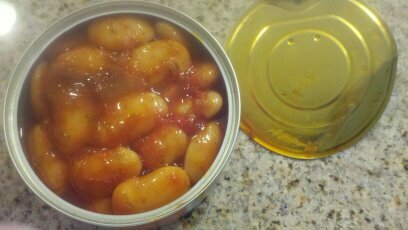 I also have a few glass jars of the beans in the cupboard, but those need to be recooked with olive oil, tomato etc.